Is Working in Telemedicine a Good Option for You? Whether you work as a doctor, nurse, or allied health professional, if you work in the medical field, you know a big part of the job involves interaction with your patients. In some instances, however, that interaction is changing. Welcome to the world of telemedicine and telehealth. Whether you work as a doctor, nurse, or allied health professional, if you work in the medical field, you know a big part of the job involves interaction with your patients. In some instances, however, that interaction is changing. Welcome to the world of telemedicine and telehealth. Before deciding if working in telemedicine is a good career fit, it’s helpful to understand what it is and how it’s used. 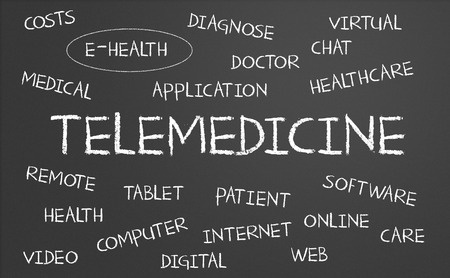 Telemedicine is a relatively new form of medical care. It started to help patients who live in remote areas access medical care easier. Although telemedicine and telehealth are still used to provide services to patients who otherwise would have a hard time accessing care, it has also evolved and is becoming more common in a variety of settings. Today telemedicine encompasses everything from remote patient monitoring to speech and occupational therapy, and telemedicine is becoming more common as technological advances are being made. For example, doctors may use telemedicine to discuss treatment plans, adjust medication, and follow up with a patient after a procedure. Various routine appointments can be completed using telecommunication technology, including computers, two-way video monitoring, and other tools. In addition to physicians, other healthcare professionals can also use telemedicine. For instance, triage nurses may utilize technology to monitor vital signs, perform assessments, and complete medical histories. Nurses also can provide care to patients through telemedicine at advice lines, providing medicinal evaluation and advice on services needed. Nurses may also provide patient education. Some forms of therapy can also be conducted through telemedicine technology. For example, speech therapy can be performed via the web and may be the better choice for some patients. Online speech therapy offers adorability and convenience for patients who might not otherwise be able to attend therapy. Doctors may be involved in telemedicine and telehealth, but usually only in conjunction with the practice. For instance, a physician may utilize telemedicine to monitor a patient’s condition at home or answer questions. The majority of opportunities to work exclusively in telehealth are for nurses and speech and occupational therapists. Some telemedicine jobs involve working from home. Other jobs require you to work from a call center or doctor’s office. Also, certain jobs combine both telemedicine and some in-person care. As a speech therapist, for example, you may only have certain patients who receive therapy via the web. Work well independently: There may be instances where healthcare professionals working in telemedicine are alone. For example, if you are a speech therapist, you may be working from home. It’s helpful to be someone who is comfortable working independently. Excellent communication skills: Even though telemedicine is not in person, communication between the patient and the healthcare professional is still extremely important. Nurses, doctors, and therapists who work in telemedicine should have strong communications skills. Confidence: If you’re working independently in telemedicine, you may not readily have a co-worker to bounce off ideas. Professionals working in telemedicine should be confident in their abilities and knowledge. Multitasker: In some situations, such as working as a telephone triage nurse, you may have to handle a high call volume. It’s helpful to be able to handle multiple things at once and prioritize the most critical situations quickly. If telemedicine seems like a good fit, the American Telemedicine Association offers resources, such as jobs and industry news. The field continues to grow, and new opportunities are developing all the time.